How are turbine engines started? What happens to a turbine engine from the time that a start is initiated until stable idle is achieved? The means of starting most turbine engines is high pressure bleed air. This bleed source typically comes from an APU but may also come from an already running engine (crossbleed start) or an external huffer cart. In some airplanes the start is completely FADEC controlled and need only be initiated and monitored by the flight crew, and in other airplanes certain steps must be manually initiated. The process below best describes a turbofan engine. Read @Falk s answer for information on differences with turboprop engines. The N1 fan, N1 shaft and N1 turbine which are displayed in green and labelled "Fan/Low-pressure compressor", "Low pressure shaft" and "Low pressure turbine". These units are connected and move as one piece. 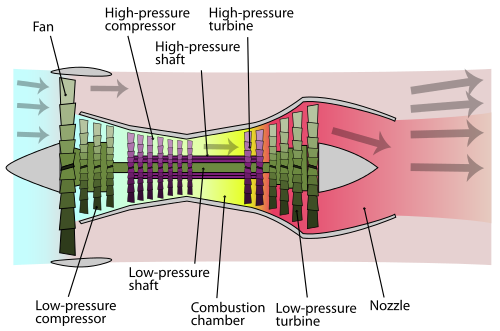 The N2 compressor, N2 shaft and N2 turbine, displayed in purple and labelled "High pressure compressor", "High Pressure shaft" and "High pressure turbine". These are connected and move as one, but independently of the N1 shaft. Un-pictured is an accessory drive that is geared to the N2 shaft to drive engine accessories. The hot section, pictured yellow and labelled "Combustion chamber". This is home to a constantly burning fire in a jet engine. Through the opening of bleed air valves, bleed air is sent to an air turbine starter. These devices typically use the high pressure bleed air to spin and engage a centrifugal clutch connected to the engines accessory drive. This in turn causes the N2 shaft within the engine to spin. With the N2 shaft spinning, the N2 compressor and the N2 turbines are spinning. This begins to force air through the engine from front to back. With the accessory shaft and N2 shafts spinning, accessories should start working and this can be verified by oil pressure indications on the EICAS. With increased N2 rotation, ignition will be turned on. These igniters are located in the hot section of the engine and produce small sparks. There should be an indication on the EICAS that the ignition is active. 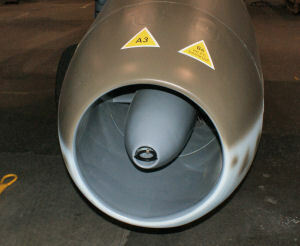 With further increase in N2 rotation, fuel flow will be introduced. This will be verified on the EICAS. Once fuel flow is noted, it is important that the next stop happen fairly soon. Light off! The fuel is lit by the ignition and now the fire burning in the hot section supplied by air from the compressor is producing thrust across the N2 and N1 turbines. As the engine is producing thrust across on the N1 turbine, the N1 shaft is spinning the N1 fan and the EICAS will note this increase in N1 rotation. N1 and N2 rotation speeds increase. Above a N2 threshold, bleed air valves supplying the the air turbine starter will close and the starter disengage. The igniters will turn off at some N2 threshold. The engine will settle into a stable idle thrust setting. N2 fails to spin up sufficiently for fuel flow to be introduced. Each start has a time limit and the start will be aborted. Abort the start and switch igniters. Fuel is building up in the engine and if light off does occur, it can be damaging. The start is aborted and dry motoring is performed to clear the engine. There is usually a limitation in the inter-turbine temperature during engine start. This may require coordination with MX before another start is attempted. In some engines, MX can correct this with the engine running. If the FADEC isn't managing fuel flow properly, the engine may not settle but continue to spin up. Coordinate with MX before attempting a restart. What about starting the engine in the air? The APU start is essentially the same process as above. The crossbleed start, which can also be done on the ground, merely substitutes a running engine at a high power setting to provide the bleed air for starting and is otherwise the same as above. The interesting start is the windmilling start. The necessity for this means something bad has happened. To need a windmilling start, this means that there are no bleed air sources to supply the air turbine starter. This can mean that all engines are out and the APU is unavailable (BAD! ), or merely that bleed valves to a shutdown engine have failed closed and are unable to be opened. For the EMB-145 that I am familiar with, a windmilling start required descending at an airspeed between 260 KIAS and 320 KIAS and could not be attempted above FL250. In short, you hope that the mass flow through the engine is enough to spin the N2 compressor as the ATS would. With an N2 indication within the engines airstart envelope, you introduce spark and fuel and hope that the engine lights. In the worst case, if you too slow and unable to provide enough airflow prior to light off, the engine can quickly overtemp and be damaged. For this reason it is especially important to abort this kind of start as soon as an abnormality is detected. If you would like to know about jet engines, please read @casey's answer. It's very detailed and good. There are some turbine engines which are started a different way. We are talking about turboprop or turboshaft engines. A famous example is the PT6 turbine, delivering power to many small turbine-powered propeller airplanes like Beachcraft's King Air series and Piper's Cheyenne and JetProp. These engines consist of two parts, the gas generator and the free power turbine. The gas generator is pretty much a jet engine. 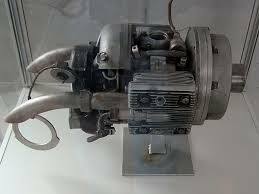 It consists of an inlet, a compressor, an combustion chamber and a turbine. I don't know any turbo prop engine with a nozzle to create thrust, like a jet engine has one, but if one of you knows about it, I would be keen to read your comment. On a turboshaft engine the exhaust isn't at all used to generate thrust so some of them are even inverted (compressor at the rear part of the engine, but of cause still fed with air from an inlet directed forward). You maybe noticed that in some turboshaft driven aircraft the exhaust is very close to the prop - here's the reason. The second component is a free power turbine, driven by the exhaust of the gas generator, driving the propeller via a reduction gear box (free power turbine speed > 30.000 RPM, prop speed < 3.000 RPM). In most engines these components are only held together by the engine case, that's why it's called free power turbine. Now we all have a basic idea of this kind of engine and can talk about the start sequence. A so-called starter generator is connected to the gas generator. Basically it's an electric motor powered by a battery (or any other DC power source) used to crank the gas generator shaft. Once the engine is started this motor can be used as a generator delivering DC power. If you look at the principles of an electric motor and a DC generator you'll see that they are technically the same. You only need to change some connections. This is usually done by operating a three position rocker switch 'start-off-generator'. Usually the free power turbine starts turning the propeller very soon after fuel is added, anyway some engines are equipped with a propeller brake preventing the free power turbine section from spinning. This is useful to operate the gas generator section only to obtain electric or hydraulic, sometimes pneumatic power - some kind of APU. Aerospaitiale's ATR series is a famous example. The called it "hotel mode". Excellent answers so far. There are a couple other ways in which a jet engine can be started. The F-16 has the engine connected to a gearbox with a special, high-speed-balanced shaft. There is a clutch where the shaft connects to the gearbox. Also attached to the gearbox is a smaller turbine known as a Jet Fuel Starter (JFS), approximately the size of a large watermelon, also with a clutch. The gearbox also has hydraulic pumps and generators. In some respects, this is similar to a bulldozer or other heavy equipment. Many of them have a small "pony motor" with an electric starter, which then produces the power/torque combination necessary to start the main engine. Once the main engine is running, the pony motor declutches and shuts off. Other, older aircraft, such as the F-100 Super Sabre, used a small, explosive charge (start cartridge, essentially a large blank). You'd install it into the engine. The pilot would electrically fire it into the exhaust turbine, which would spin up the engine enough (you hoped) to get the whole thing to start speed, then engage the fuel and ignition systems. If the cart failed to fire properly, you had to wait a certain period of time for it to cool off before you could remove it. You wouldn't want it going off on the ramp (possible presence of fuel vapors) or in your hands (ouch!). I guess now it is my turn to add exotic ways to start a jet engine. The Jumo 004 of the Me-262 and Ar-234 had a small piston engine in the central spike which was electrically started, but also could be hand-started by a mechanic. Did you ever note the hole in the middle of the spike, and the ring stuck in it (see the left picture below)? The ring was attached to a string which could be used to start the piston engine (right picture). This could spool up the engine by itself up to 2000 RPM. At 500 - 1000 RPM the pilot would switch on the ignition. Now the starting combustion helped to spool up the engine further, until at 5000 RPM where the piston engine would decouple. Then the pilot could advance throttles slowly to 8700 RPM, the maximum. The piston engine would not decouple. Insufficient fuel flow, so the engine would not accelerate. In cold temperatures, the fuel pumps had to be switched on, but only up to 3000 RPM. The ignition would not start soon enough. Then the rotating engine would supply fuel to the combustion chamber, where it would collect and be blown into the rear engine fairing. When the combustion started, the collected fuel would burn as well, resulting in an engine fire. The other starting procedure is that of the J-58s in the SR-71, which was remarkably similar. Only that the starter engine was a lot bigger and not part of the engine: It was a custom design of two tuned Buick 455 V-8s, coupled together on a cart and driving a vertical drive shaft that was driving the engine from a port under the engine nacelle. To start ignition, a special compound called triethylborane was injected, because the cold JP-7 (the special fuel for J-58s) would not ignite by itself. Once the engine could sustain itself, the cart was disengaged. The Buick engines would frequently fail and were later replaced by two Chevy big blocks. Also, the engines could be started with pressurized air. See this link for more. For a very basic turbine startup, no FADEC or computer control, here's a video of a Mosquito XET turbine helicopter being started. Throttle at 50%, then cut back to idle position. At 17% RPM, turn on the igniter. At 30% RPM, turn on the fuel... the rumble indicates that the burner can has ignited. At 50%, turn off the starter. At 70%, turn off the igniter. At 100%, it's ready to fly. 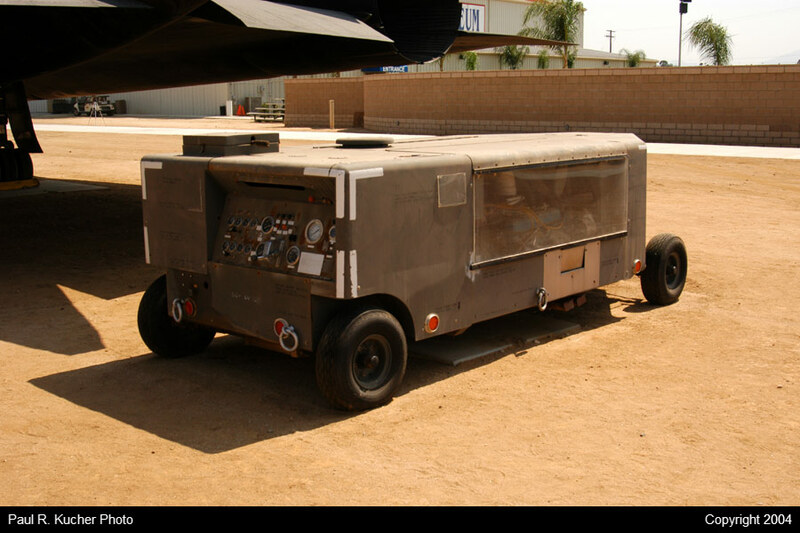 The Mosquito uses a 90 hp Solar gas turbine originally made for backup generators, which is one reason why the whole package is (relatively) inexpensive: around $65k-70k for a turbine powered helicopter. There is also the shaft drive iteration of starting engines. As a time served tech on Tornado's I cant begin to tell you how frustrating this system is! An APU operates a gearbox, which has a generator, a hydraulic pump, and an output shaft to the engine to start it. Its also coupled to another gearbox on no2 engine through a shaft, which also has a hydraulic pump, generator and output shaft. So the APU or either engine can run either, or both gearboxes and start either or both engines! Not the answer you're looking for? 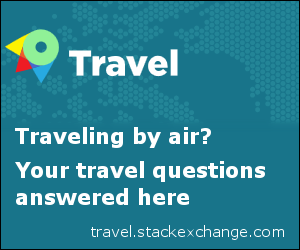 Browse other questions tagged jet-engine turbine engine-starting or ask your own question. How close is X-Plane experience to real flying? What is the cable connected to a plane for? Why do turbine engines take so long to spool up? Is starting a jet engine without ground support possible? Is engine damage due to a fan blade failure irreparable? How is bleed air used to start a jet engine? What is engine-out taxi out time? What are the major hazards in operating a PT6 Turbine Engine? How does ignited gas spin the turbine? Is it possible to start the engines while on push back? Compressor-Turbine: Why a shaft and not kind of a “rotating drum”? Maximum/Lowest achievable expansion ratio (generally) in a turbine? How is turbine engine oil pressure associated with turbine engine speed?